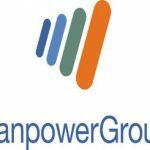 Bulgarian Employers Expect Hiring Pace to Remain Steady in the Final Quarter of 2018 According to ManpowerGroup Employment Outlook Survey. 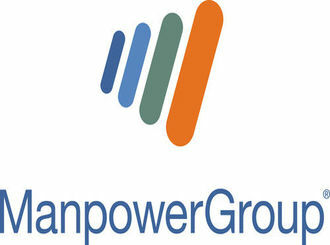 Sofia, Bulgaria, September 11th, 2018 – ManpowerGroup Employment Outlook Survey results for 4Q2018 reveal that Bulgarian employers continue to report positive hiring prospects through the end of the year. While 10% of employers expect to increase staffing levels, 3% forecast a decrease and 81% anticipate no change, the resulting Net Employment Outlook stands at +10% once the data is adjusted to allow for seasonal variation. Hiring intentions of the surveyed 620 employers remain unchanged compared to the previous quarter but register a decrease of 3 percentage points in comparison to the final quarter of 2017. Employers in all ten industry sectors expect to grow staffing levels during the October-December period with the strongest net employment outlook of +18% being reported in the Manufacturing sector, followed by the Agriculture, Hunting, Forestry and Fishing and the Wholesale and Retail Trade sectors with forecasts of +14% and +12% respectively, while Construction sector employers share the weakest hiring intentions with an Outlook of +2%. When compared with the previous quarter, the biggest improvements of employers’ hiring plans are reported by employers in the Mining & Quarrying sector which shows the most noteworthy increase of 11 percentage points, and the Electricity, Gas & Water sector which is 5 percentage points stronger. Transport, Storage & Communication sector employers report an increase of 4 percentage points, and Outlooks are 3 percentage points stronger in both the Restaurants & Hotels sector and the Wholesale & Retail Trade sector. Meanwhile, Public & Social sector employers report weaker hiring plans with a decline of 2 percentage points. In terms of regional hiring intentions, employers in all five regions forecast to increase staffing levels in 4Q 2018. The strongest labor market is anticipated in Varna with a Net Employment Outlook of +17% – an increase of three percentage points compared to the previous quarter and year-over-year. 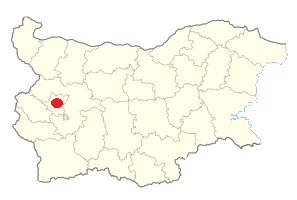 Respectable workforce gains are also expected in Rousse where the Outlook stands at +13%, while Burgas employers report cautiously optimistic hiring plans with an Outlook of +10%. Meanwhile, employers in Plovdiv and Sofia share moderate hiring prospects with Outlooks of +8% and +7%, respectively. In addition, employers in all organization size categories forecast an increase in staffing levels during the coming quarter. The strongest labor market is anticipated by Large employers (>250 employees) with a Net Employment Outlook of +18%, followed by the Small employers (10-49 employees) who report an Outlook of +11%, and the Medium- (50-249 employees) and Micro-size (<10 employees) categories whose outlooks stand at +8% and +5%, respectively. When compared to the previous quarter, Outlooks for Medium- and Small-size employers improve by 3 percentage points, while Micro employers report an increase of 2 percentage points and the Outlook for Large firms is unchanged. The Net Employment Outlook is derived by taking the percentage of employers anticipating an increase in hiring activity and subtracting from this the percentage of employers expecting a decrease in hiring activity. Sometimes it’s hard to tell PR agencies apart as they often describe themselves in similar ways. That is why we follow four simple rules to ensure your brand will survive in the new communications age: Our clients are our partners. Our partners inspire us to craft great work. Great work is fun! And when you are having fun, refreshing ideas unfold. I consent to www.arunapr.com collecting my details through this form.